Garrison Keillor can make all the "hotdish" jokes he wants, locals know that there is plenty of fresh, wholesome, delicious, exciting food in Minnesota. From a short but very sweet and prolific growing season, to diverse cuisines, fresh lake fish, and, of course, truly wild and hand-harvested wild rice. The growing season in Minnesota is short, but goodness it is awfully sweet while it's happening. Use this Guide to Minnesota Seasonal Fruits & Vegetables to figure out what to expect when from local growers. Minnesota has a large system of great farmers markets where you can buy such seasonal produce from local growers. Larger ones are open from April through November, many have shorter seasons so check listing to be sure. There is more than local produce for sale - look for locally made cheeses, pastured chickens, eggs, and more. 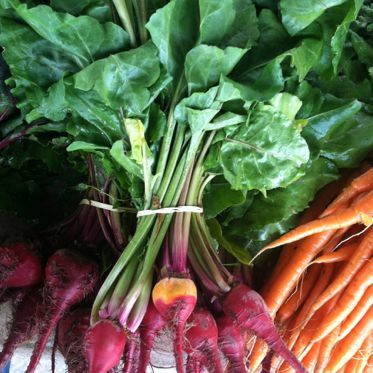 Find one near you with this Guide to Minnesota Farmers Markets. Minnesota sweet corn is sweet indeed - and tender as can be when bought fresh from road-side stands and farmers markets. When you're done eating it plainly boiled with butter and salt, try one of these Delicious Sweet Corn Recipes. A newer, but just as coveted treat, is 1919 Draft Root Beer, available only at restaurants and special events on draft. Rich and fully flavored, 1919 reminds me what a treat soda pop can be. Locals may disagree about exactly which South Minneapolis bar first served a Juicy Lucy, but experts agree that this cheese-stuffed hamburger hails from the Twin Cities. Make one at home with this Recipe for a Juicy Lucy Cheeseburger and find out Where to Get the Best Juicy Lucy from our Guide to Minneapolis/St. Paul. Berry picking - on blueberry hills and raspberry patches around the state - is a great summer treat in Minnesota. Both blueberries and raspberries tend to come into season in July (there's global warming for you - I remember August being the time when I was a kid). Find wonderful ways to use your haul with this Guide to Blueberries and these Berry Recipes. Over 90% of the wild rice consumed in the U.S. comes from cultivated fields in California. The upside of that is that many more people get to eat wild rice than they otherwise would, but the downside is what they're eating isn't wild. Minnesotans know that the best wild rice is hand-harvested from lakes and rivers where in grows naturally (the harvest, in fact, is also next year's planting as some of the seeds don't make it into the boat and float to the bottom of the lake to grow the next year) and parched in small batches (as opposed to the large kiln ovens for commercial crops).